Last year was a tough year for Gibson, one of the largest guitar manufacturers in the world. The company was saved from bankruptcy and skipped Winter NAMM for the first time in the company’s century plus history. The all American-made instrument brand is rejuvenated and announces a slew of new guitar models for purchase later this year, including several signature series honoring Chris Cornell, Chuck Berry and more. The new models will be unveiled at Winter NAMM in Anaheim, CA later this week. “We’re paying tribute to the Golden Era of Gibson by restoring authenticity for musicians with our new lineup of Classics,” says Cesar Gueikian, Gibson’s Chief Merchant Officer. “True to our DNA, our new Les Paul Standard returns to the classic design that made it famous. And the same can be said of other models” adds Gueikian. Designs like the Les Paul and the SG once again embrace the features and construction details that made them legends in the first place: a Les Paul Standard ’50s spec and a Les Paul Standard ’60s spec as well as one with P90 pickups; a Les Paul Special in TV Yellow and Les Paul Junior Tobacco Burst; an SG Standard and two new 61 spec SG’s with “maestro” and “sideways” Vibrolas. Gibson teamed with Chuck Berry’s Son and Grandson to create Berry’s famed ES-350T which will be out this year. Gibson will also release a limited-edition, Chris Cornell Tribute Model ES-335; only 250 will be available with a portion going to charities in his name. Over the years, Gibson partnered with Cornell to work on his original ES-335 Artist Model and it was immediately clear that he had an innovative eye for guitar design. 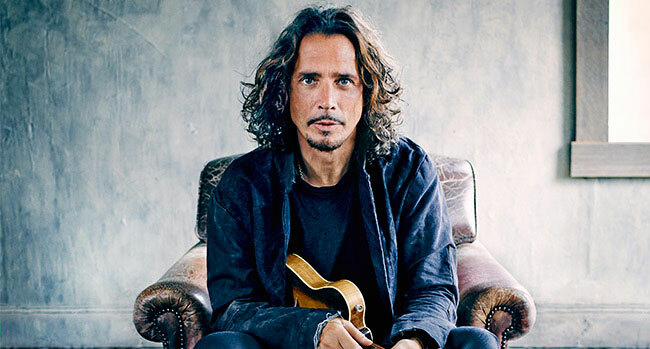 Features like the aged Lollartron humbucking pickups, clear “no number” Top Hat knobs, Olive Drab Satin finish, and Mother-of-Pearl Chris Cornell “signature” peghead inlay make this guitar one of Gibson’s most distinct artist offerings to date and more importantly a fitting tribute to Chris Cornell. Across all of Gibson’s product lines, the story will continue be told with the brand’s greatest partners — its musicians. In addition to receiving input and advice from legendary players like Slash, who tested the new line of Les Paul classics and has taken them on his new tour, Gibson currently has a wide array of exciting signature models in development with musicians. “Our artists are going to be an integral part of what we do,” Gueikian says. “Our solutions for guitarists will continue to leverage the past and set up the future at all levels. We’re excited about musicians from the past, present and future at all levels. We work for the artist, it all starts with our musicians.